This post offers info on top 10 pilgrimage destinations in India along with other popular pilgrimage places of India. India is a vast country, with diverse cultures and ancient civilizations. Spiritual sites has made many ordinary destinations into important religious places in India. Let us learn about some of the most visited religious places and best pilgrimage destinations in India. Haridwar is an important pilgrimage city and municipality in the Haridwar district of Uttarakhand. It is the gateway to the four pilgrimages (Char Dham Yatra) of Uttarakhand and is known as the “Gateway of God”. Haridwar is the place of origination of river Ganges and every evening devotees lit lamps and sent them floating down the river after evening aarti. Many pilgrims, devotees, and tourists come together in Haridwar to perform ritualistic bathing on the banks of the Ganges to wash away their sins to attain Moksha. 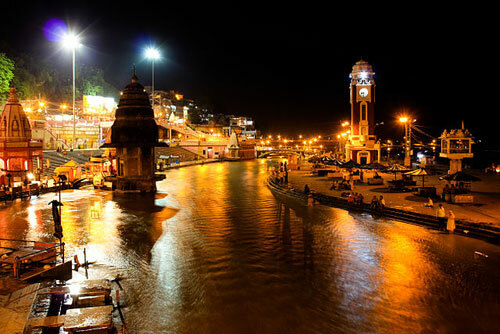 Brahma Kund, the spot where the Amrit fell, is located at Har ki Pauri ("footsteps of the Lord") and is considered to be the most sacred ghat of Haridwar. The Mansa Devi temple in Haridwar, is belived to grant the wishes of those who visit the temple. Some of the famous Pilgrimage sites in Haridwar are Har Ki Pauri, Chandi Devi Temple, Mansa Devi Temple, Maya Devi Temple, Ram Mandir, Sapt Rishi Ashram and Sapt Sarovar, Parad Shivling and many others. Haridwar is one of the most visited India pilgrimage destinations. Rishikesh is a city in the northern state of Uttarakhand. It's situated on the banks of the Ganges River, surrounded by hills on three sides, and is located approximately 25 km north of the city Haridwar and 43 km south-east of the state capital Dehradun. 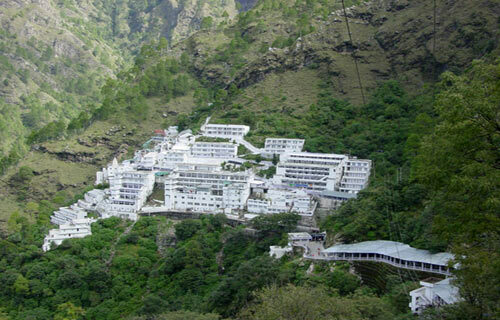 It is known as The Gateway to the Garhwal Himalayas and yoga capital. The place offers a perfect spot for pilgrimage along with meditation and yoga facilities. The whole place is considered to be sacred as it is believed that meditation at this place leads to attainment of salvation. Rishikesh attracts those seeking knowledge and peace with its numerous temples, ashrams, and yoga institutes. It is also suggested place for starting their trekking expeditions. Some of the major attractions are - Lakshmana Jhula, Mahadeo Temple, Triveni Ghat, Swarga Ashram and Vasishtha Goofa. Varanasi is a North Indian city with old history and spiritualism on the banks of the Ganga in the state of Uttar Pradesh. 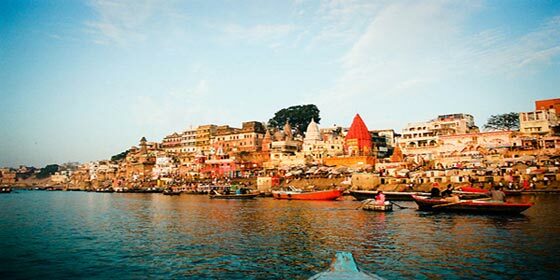 Varanasi is also known as the favourite city of the Hindu deity Lord Shiva. It is often referred to as "the holy city of India", "the religious capital of India", "the city of Shiva", and "the city of learning". One of the oldest continuously inhabited cities in the world, with settlements dating back to the 11th century BC. Many Hindus believe that dying in Varanasi brings salvation/nirvana. The Vishwanath Temple, built in 1776, is a popular Hindu holy place. The River Ganga is a sacred river for the Hindus and you will see traditional rituals and bathing occurring at all times of the day. Ghats in Varanasi (has at least 84 ghats) are an integral complement to the concept of divinity represented in physical, metaphysical and supernatural elements. All the ghats are locations on "the divine cosmic road", indicative of "its manifest transcendental dimension. Some of the most popular ghats are: The Dashashwamedh Ghat (the main and probably the oldest ghat of Varanasi located on the Ganges, close to the Kashi Vishwanath Temple where every evening visitor assembles for ‘aarti’ or prayer ceremony), Panchganga Ghat, Manikarnika Ghat, Rana Ghat, Narad Ghat, Harishchandra Ghat, Hanuman Ghat, Shivala Ghat, Tulsi Ghat and Assi Ghat. Varanasi is the most famous India pilgrimage destination. Bodh Gaya is a religious site and place of pilgrimage associated with the Mahabodhi Temple Complex in Gaya, Bihar. As the place where Gautama Buddha is said to have obtained Enlightenment under a Bodhi tree, Bodh Gaya is the most revered of all Buddhist sacred sites. The main temple complex houses the famous Mahabodhi temple and a descendant of the original Bodhi Tree under which the Buddha gained enlightenment. Some of the famous sites to visit: Bodhi Tree, Mahabodhi Stupa,Thai Monastery, 80-foot Buddha Statue, Royal Bhutanese Monastery, Japanese temple and Archaelogical Museum. Amritsar, is a holy city in the state of Punjab. It is home to the the Golden Temple (also known as Harmandir Sahib), the spiritual and cultural center for the Sikh religion. The Golden Temple looks mesmerizing at night and even worth a visit at day time for prayer. Pilgrims take a bath in the Amrit Sarovar, a scared water pool around the Temple. The Golden Temple is the main attraction in the city, and the most important religious place to the Sikhs. Some other tourist places in Amritsar are: Gobindgarh Fort,Jallianwala Bagh, Wagah Border, Maharaja Ranjit Singh Garden, Ram Tirath Temple and Durgiana Temple. 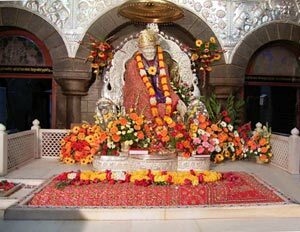 Shirdi is a town in the Ahmednagar district, located approximately 296 km from Mumbai, capital of Maharashtra in India. It is called the Land of Sai. The Shirdi Sai baba Temple, built over the Samadhi of Sai Baba is located at Shirdi. Millions of Sai baba devotees from all over the world come each year to pay their respects. The closest and most highly connected city from Shirdi is Ahmednagar city. Shirdi is one of the most popular pilgrimage destinations in India. Tirupati is a city in Chittoor district of the Indian state of Andhra Pradesh. 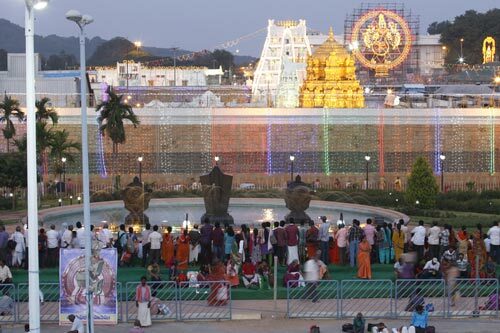 Tirupati is considered one of the holiest Hindu pilgrimage sites because of Tirumala Venkateswara Temple (also known by other names like Tirumala Temple, Tirupati Temple, Tirupati Balaji Temple), besides other historical temples, and is referred to as the "Spiritual Capital of Andhra Pradesh". Devoted to Lord Venkateshwara, Tirupati temple is a must visit pilgrimage destination for Hindus. Located 10 km away from Tirupati city center, Tirumala Venkateswara temple is the most notable temple for being the world's richest. Beside Tirupati Balaji Temple Temple, the city is known for many other ancient temples, such as Padmavathi Temple at Tiruchanur, Govindaraja Temple Kapileswara Temple at Kapila Theertham, Sri Kodandaramaswami Temple etc. It is another most famous sacred destination of India. Jammu and Kashmir is a state in northern India. It is located mostly in the Himalayan mountains, and shares borders with the states of Himachal Pradesh and Punjab to the south. You can also visit Raghunath Temple-dedicated to the Hindu Lord Shri Rama. This temple is located in the centre of Jammu. Amarnath temple - pilgrimage site for Hindu devotees of Shiva. The cave is situated at an altitude of 3,888 m (12,756 ft), about 141 km (88 mi) from Srinagar, the capital of Jammu and Kashmir and reached through Pahalgam town. Kedarnath, located in the Indian state of Uttarakhand in the Rudra Himalaya range. 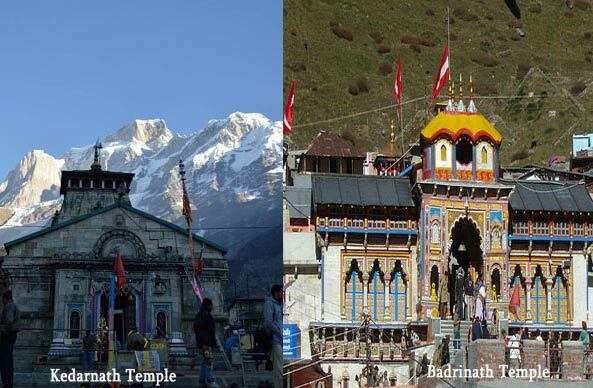 It has gained importance because of Kedarnath Temple- a Hindu temple dedicated to Bhagwan Shiva. It’s a thousand year old temple built of massive stone and a home to Lord Shiva in the form of ‘Jyotirlingam’ or the cosmic light. Lord Shiva is worshiped as Kedarnath, the 'Lord of Kedar Khand', the historical name of the region. A journey to Kedarnath can be the most sacred and religious journey in any individual’s life. Badrinath is a holy town in the state of Uttarakhand, India. It is the most important of the four sites in India's Char Dham pilgrimage and gets its name from the temple of Badrinath. The temple is also one of the 108 Divya Desams dedicated to Vishnu, who is worshipped as Badrinath—holy shrines for Vaishnavites. It is open for six months every year (between the end of April and the beginning of November), because of extreme weather conditions in the Himalayan region. The temple is located in Garhwal hill tracks in Chamoli district along the banks of Alaknanda River at an elevation of 3,133 m (10,279 ft) above the mean sea level. Ajmer is the city in the Indian state of Rajasthan and is the centre of the eponymous Ajmer District. The city is located at a distance of 135 km from the state capital Jaipur and 391 km from the national capital New Delhi. 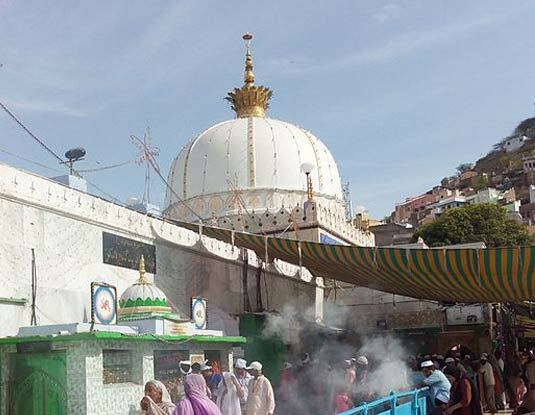 Ajmer is surrounded by the Aravalli Mountains and is a well-known sacred destination for the Muslims as well as Hindu pilgrims. 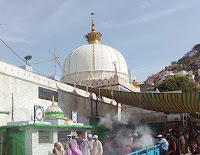 It is a pilgrimage centre for the shrine of the Sufi Saint Khwaja Moinuddin Chishti (situated at the foot of the Taragarh hill) and is also the base for visiting Pushkar (about 14 kms), an ancient Hindu pilgrimage city, famous for the temple of Brahma. Visit here (External link to Wikipedia) for info on Brahma Temple, Pushkar. Puri is a city located in the state of Odisha in eastern India. Puri is also known as Jagannath Puri after the 12th-century Jagannath Temple located in the city. 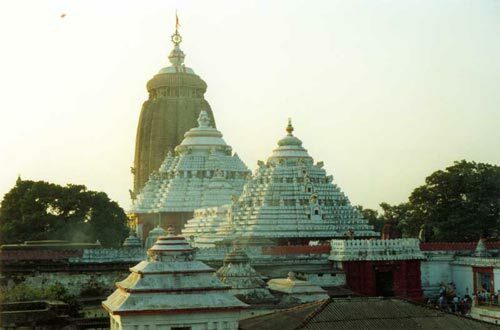 The Jagannath Temple of Puri is a sacred Hindu temple dedicated to Jagannath. The temple is an important pilgrimage destination for many Hindu traditions, particularly worshippers of god Krishna and god Vishnu, and part of the Char Dham pilgrimages. The temple was built in the 12th century and is famous for its annual Rath Yatra, or chariot festival. Rameswaram is located in the South Indian state of Tamil Nadu. Together with Varanasi, it is considered to be one of the holiest places in India to Hindus, and part of the Char Dham pilgrimage. It is said that this is the place from where the Hindu god Rama built a bridge across the sea to Lanka to rescue his wife Sita from her abductor Ravana. The Ramanathaswamy Temple, dedicated to the Hindu god Shiva, is located at the centre of the town and is closely associated with Rama. Udupi is a city in the southwest Indian State of Karnataka. Udupi is famous for Sri Krishna Temple (dedicated to Hindu god Sri Krishna). It is also known as Lord Parasurama Kshetra, and is famous for Kanakana Kindi. Udupi, also known as Rajata Peetha and Shivalli, a centre of pilgrimage, is situated about 60 km north of Mangalore and about 422 km northwest of Bangalore. Located around four hours from Chennai in Tamil Nadu, Tiruvannamali attracts spiritual seekers to its Sri Ramana Ashram and Hindu pilgrims who walk around holy Mount Arunachala and pray at Annamalaiyar Temple, where Lord Shiva is worshiped as the element of fire. The Meenakshi temple at Madurai is a holy place for millions of Hindus. Madurai has been an important spiritual and learning center for more than 2500 years. Popular Meenakshi Amman Temple is located in the heart of Madurai. This temple is dedicated to Lord Shiva. Popular for Triveni Sangam. In Hindu tradition Triveni Sangam is the "confluence" of three rivers (two physical rivers — Ganges and Yamuna — and the invisible Saraswati River). A bath here is said to flush away all of one's sins and free one from the cycle of rebirth. It is the site for historic Kumbh Mela held every 12 years. Mathura is the birthplace of Lord Krishna which is located at the centre of Braj or Brij-bhoomi, called Shri Krishna Janma-Bhoomi ('Lord Krishna's birthplace’). It is located approximately 50 north of Agra, and 145 kilometres south-east of Delhi. Vrindavan is the site where according to Hinduism, Lord Krishna spent his childhood days. The town is about 11 km away from Mathura, Krishna's birthplace on the Agra-Delhi highway. An ancient city of India, believed to be the birthplace of Rama. Ayodhya has been regarded as one of the seven most important pilgrimage sites (Saptapuri) for Hindus. You can check here (External link to Wikipedia) for detail info on Ayodhya. Dwarka is one of the foremost Chardhams, four sacred Hindu pilgrimage sites, and is one of the Sapta Puri, the seven most ancient religious cities in the country. Dwarka is often identified with the Dwarka Kingdom, the ancient kingdom of Krishna. Hemkund Sahib, known as Gurudwara Sri Hemkunt Sahib Ji, is a Sikh place of worship and pilgrimage site in Chamoli district, Uttarakhand, India. It is devoted to Guru Gobind Singh Ji, the tenth Sikh Guru, and finds mention in Dasam Granth, a work dictated by Guruji himself. Famous for the Shree Siddhivinayak Ganapati Mandir- a Hindu temple dedicated to Lord Shri Ganesh. It is located in Prabhadevi, Mumbai, Maharashtra. Popularly known as Somnath Pata. The Somnath temple is located in Prabhas Patan near Veraval in Saurashtra, Gujarat, is the first among the twelve Jyotirlinga shrines of Shiva. It is an important pilgrimage and tourist spot. The temple is considered sacred due to the various legends connected to it. The temple is open daily from 6AM to 9PM. If you are planning for spiritual (pilgrimage) tours in India, we suggest to have proper knowledge of that India pilgrimage destination which you are planning to visit. You can even get in touch with your tour operator for complete info. You can explore here (External link to Wikipedia), for the complete list of Pilgrimage places in India. You can help in editing this post. Please share your thoughts/changes through comment. We will give you proper credit.